Culture Project’s activists took an active part in an event organised by (X-Line) organisation which was organised in the old Tobacco Factory which is now turned into a cultural venue. This event was organised for networking, and various activities among different organisations on the occasion of International Women’s Day. Culture Project attended this event as a cultural organisation, its activists introduced Culture Projects aims, vision and activities so far. Khanda Hameed coordinator of Culture Project shed light more specifically on the new endeavour of Culture Project which is unique and new in its kind in Kurdistan, which is the Women’s Self Writing Project. It’s a project which encourages Kurdish women to write freely about themselves, their experiences of life. She also elaborated on the aim of Culture Projects in terms of raising awareness about gender equality in society. Furthermore she emphasized that feminism and gender awareness are the beating heart of Culture Project. In addition to this, Khanda Hameed spoke about the formation of Culture Project student group at the university of Sulaymania ( Culture Project Society) as a platform for creative and art students who have interest in gender and feminism and raise awareness about gender via art. Nabaz Samad member of editorial board of Culture Project spoke about Culture Magazine which is a print magazine published in Kurdistan every three months. So far two issues of it have been published and its third issue is on the way to be published. The magazine gives importance to theory, philosophy, feminism and gender as well as art and literature. 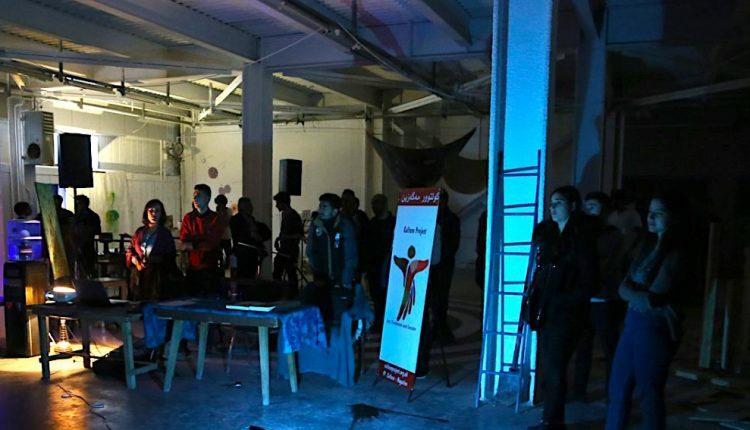 As part of the introduction of Culture Project both the Kurdish and English websites of Culture Project were shown via a projector to the attendees. At the end both issues of Culture Magazine were distributed among the public.